Laura J. Davis is a former singer/songwriter with 30 years of experience in music ministry. Her high soprano voice led her to sing in various venues across Ontario and the United States. Her concerts and messages always pointed her listeners to a relationship with Jesus Christ. She released her first album in 1989 and continued singing until the winter of 2000, when an emergency surgery resulted in the loss of her singing voice. That same year a fall down a flight of stairs resulted in a permanent disability for the singer/songwriter. No longer able to sing, Laura began writing full-time. 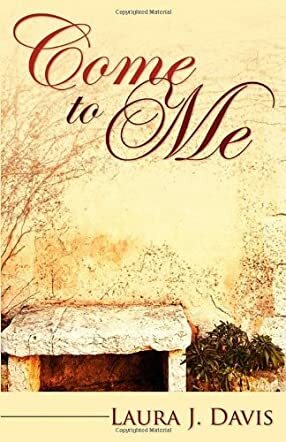 Her first novel, Come to Me, is about the life of Christ through the eyes of his mother and has spoken to the hearts of those who want to deepen their relationship with Jesus, or meet him for the first time. Laura has appeared on 100 Huntley St, a Canadian Christian television program as a singer and as a writer where she shared her story of surrendering to God when your dreams are shattered. You can contact her through her website. Mary, the mother of Jesus, was given a huge role and responsibility; one that she and her family were shocked by and unsure of at first. Laura J. Davis in her novel, Come to Me, takes us to the home of Mary years after she is chosen to carry and birth Jesus, the Savior of the world. Mary shares her story and the story of Jesus with disciples who come to visit her, and it is recorded by them. Mary begins the account by discussing her home life and her relationship with Joseph, the man she is to marry. Mary takes her audience through the days leading up to Jesus's birth, including her visit and stay with Elisabeth who births John during this time; the trip to Bethlehem and birth in the stable; and ending with Jesus's death, resurrection and then ascension into heaven. This account of Jesus is unique and so personal, as it is being told from his mother's perspective. Davis has a true gift of writing as she ties in details of living back in Biblical times, creating realistic scenes. Also, the characters come alive on the pages and are filled with emotion and life. I really enjoyed reading this book, and I like the angle that is taken of Mary sharing this story and reliving each event herself. While reading, I felt like I was there with Mary and the disciples, sharing their food and hearing from Mary herself this amazing, timeless story. Thank you Kristie! I'm so glad you enjoyed it! Thank you for this excellent review of Laura J. Davis' sensitive portrayal of the life of Christ in "Come to Me." I have read this work, and my knowing the author personally and being aware of her joy of living and bright testimony to the grace of God -- despite significant health challenges, helps me appreciate the emotional warmth and depth of spiritual perception she brings to her writing.